Anyone familiar with timeshare is probably familiar with timeshare exchange company RCI. Since its founding in 1974, the company has become one of the largest timeshare trades companies. RCI resorts number in the thousands, located in over 100 countries worldwide. All timeshares for sale with Travel & Leisure Group are either affiliated with RCI or II (Interval International). Since its founding, membership has grown to the millions. Timeshare owners find that making use of RCI resorts truly enhances the quality of their vacation ownership. RCI has 3.7 million timeshare owners worldwide and more exchanges each year than any of its competitors. Customers can participate in the RCI Weeks Exchange Program. This gives timeshare owners the opportunity to exchange a week at their home resort for an alternative resort. This could be an associate resort, or one of the RCI resorts. Owners can do this for up to five weeks of Holiday Ownership Rights. Any additional weeks are subject to additional payments or fees. Members making use of the RCI Weeks Exchange Program also benefit from the knowledge and experience of Guides. They are available for check-in assistance 24 hours a day, 7 days a week (including holidays). Guides provide assistance in planning their customers’ exchange vacation and answering any questions they may have. As the world’s expert in exchange vacations, doing so couldn’t be easier. 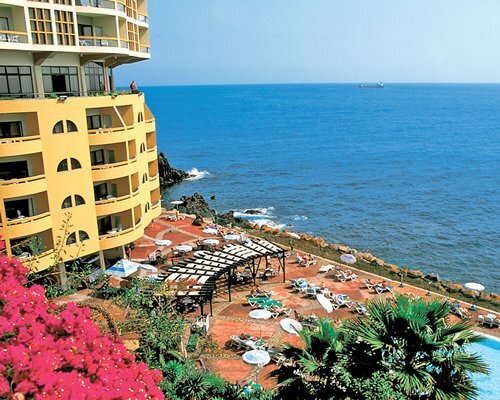 This lovely, quiet resort found along the Madeira coastline comes with free parking. It occupies an enviable position in one of the most picturesque European locations. The friendly staff are always hand to help. 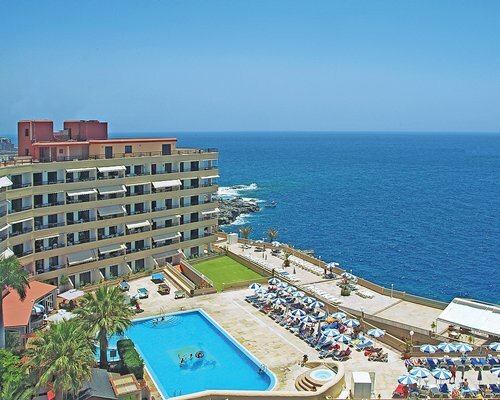 Pestana Palms features large rooms offering beautiful sea views! Enjoy cocktails by the pool, beautiful gardens, and good food at the on-site restaurant. Guests here will also love the great facilities: swimming pool, games room, diving club, health club, medical care, and bar. There is also private access to the sea and gardens, making for a truly wonderful experience. 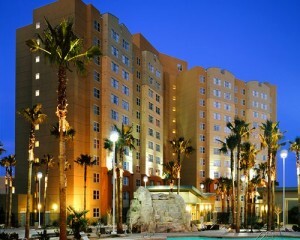 Click here to view Pestana Palms Resales. Pearly Grey Ocean Club can be found in Adeje on the southwestern part of Tenerife. The resort features well-furnished apartments with balconies often offering views out to the sea. Guests can enjoy the sun while relaxing on sun terraces and a fantastic on-site restaurant and bar. There is also a children’s play area and a gym available. Guests at this RCI Gold Crown resort will also find a local bus service to the beach. The staff at Pearly Grey Ocean Club can also give advice and tourist information about the island. Click here to view Pearly Grey Ocean Club Resales. In the ideal location of Orlando, Florida, this resort is near the famous Disney World. Guests staying at Sheraton Vistana will find the resort comes with spacious villas and apartments. The fantastic facilities include basketball courts, heated pools, and massage services. 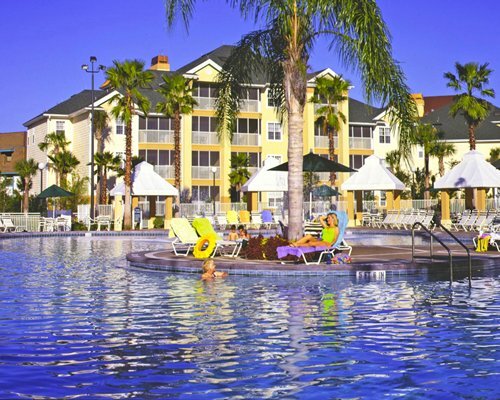 The resort also has a total of thirteen tennis courts, 16-hole miniature golf course and seven swimming pools with water slides and fountains. Guests will enjoy six recreation centers, two snack bars, and a full service restaurant. 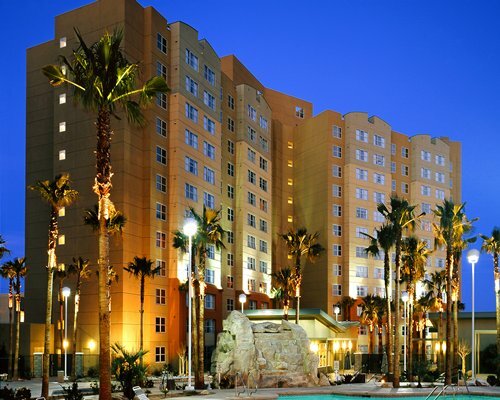 Click here to view Sheraton Vistana Resales. Less than six miles from the ever famous Las Vegas strip, Grandview at Las Vegas is a family-friendly RCI Gold Crown resort. The resort boasts five pools, hot tubs, mini-golf, fitness area and an arcade. Fun for all the family! The resort is also located next to the South Point Casino. This Las Vegas staple offers a range of restaurants, movie theatres, and bowling alley if you ever feel the need to venture out of the resort. There is also a shuttle service to the Las Vegas strip, and a taxi service on your doorstep. You’ll never feel like you are missing out on the action! Click here to view Grandview at Las Vegas Resales. RCI is considered to provide the largest and most flexible points-based vacation exchange program in the world. Points members get a high level of flexibility; consequently they can decide where and when they want to travel. Points membership provides the opportunity to save and borrow points from one year to the next. Furthermore, you can use a portion of points for overnight stays. Your points can also be used towards the purchase of a wide range of cruise vacations! Click here to read more about RCI Points.